After the recent heat wave, Saddleback cranked the snow guns last week and put out a great product today. 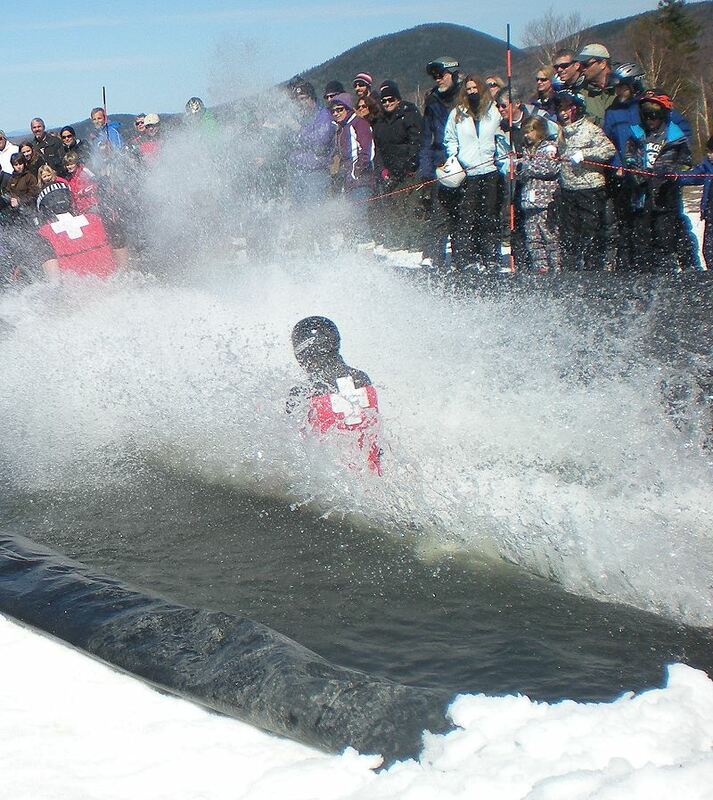 Sunshine, temps in the lower 40's and a fun atmosphere created by the Pond Skimming made it a very good day for @MaineSkiFamily. Saddleback made snow on all the major snow making trails. Green Weaver, Gray Ghost, Royal Coachman, the Devils (Blue and Red) along with Silver Doctor skied great. 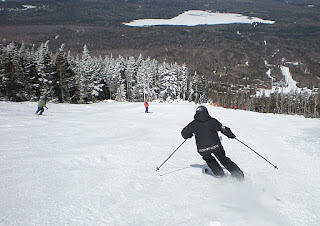 Nice turns, good coverage and fun was the order of the day. Saddleback Ski Patrol Getting it Done! At 1PM they held their annual pond-skimming competition. @MaineSkiFamily were just spectators today, but there were plenty of spills, chills, a wardrobe malfunction (a bikini top went astray after a tumble in the water) along with the Saddleback Ski Patrol showing how it is done with the patrol sled. Sugarloafer and Olympian Seth Wescott was in the crowd cheering on the pond skimming participants. 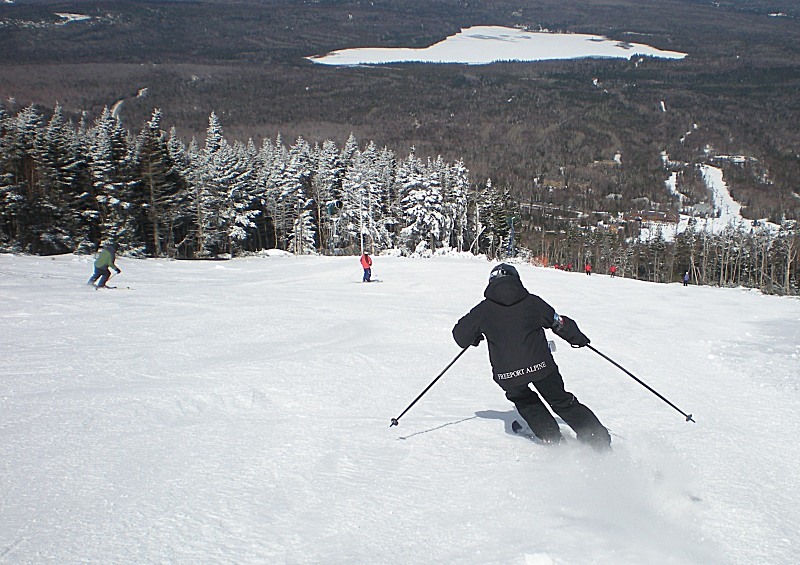 Tomorrow (Sunday April 1) is $29 Maine Day. This skiing is really good. It is just groomer trails but they are great! Get it before you can't and thanks Saddleback for putting on a great show today!